Money Q&A: How can I cut the costs of Bonfire Night? Q: How can I cut the costs of Bonfire Night? A: You can still make sure your Bonfire Night goes off with a bang, but without an explosive cost to you. Homebase, Tesco and Sainsburys are all currently offering a Buy One, Get One Free on selected fireworks while stocks last. For sparklers, supermarkets Aldi and Morrisons both have some great deals. At Aldi, you can get 21 gold sparklers for only £1.49, while Morrisons offers three five-packs of 10-inch Mega Sparklers for just £1. And a few of the top supermarkets are also offering really great mixed fireworks boxes for under £10. At Asda, you can pick up the Livewire Selection box (with 17 different fireworks) for £10, and Aldi are offering the Firefight box, a mix of 15 different fireworks, for just £4.99! Of course, it may be cheaper and safer simply to buy a ticket to a local organised fireworks display. 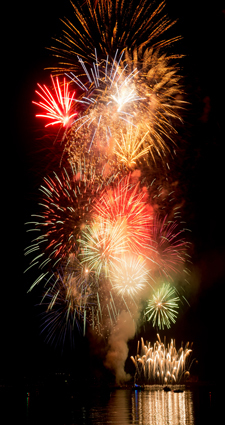 If you visit free-events.co.uk, you might even find a fireworks event close to you that won’t cost you a penny.